WP Fluent Form - Make Effortless Contact Forms In Minutes! Your WordPress forms are just a few clicks away. Select your form fields, click on them or just drag & drop them to the editor, put some dynamic conditional logics if necessary, and voila! You got your unique, super rich form. The experience of creating an online form has never been so fluent. The intuitive design of WP Fluent Form puts all the tools right where you need them! 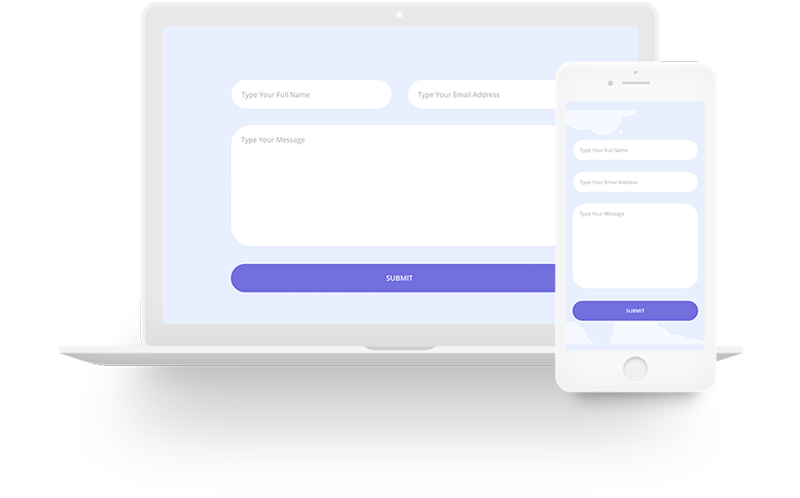 Our powerful drag & drop contact form builder allows you to easily create WordPress contact forms and other online forms in just a few minutes without writing a single line of code. Building forms is now easier for you than writing and drawing it on a piece of paper! WP Fluent Form offers 3 form templates that are already designed for you, so that you don’t have to plan, design and create a form from scratch. 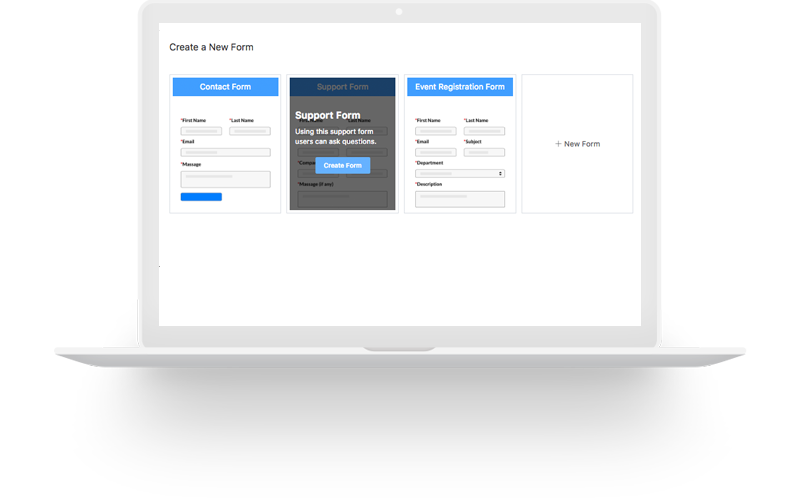 Most used forms like Contact Form, Support Form and Event Registration Form are ready to use for you, anytime! WP Fluent Form comes with all the possible input fields you might need to create a form. 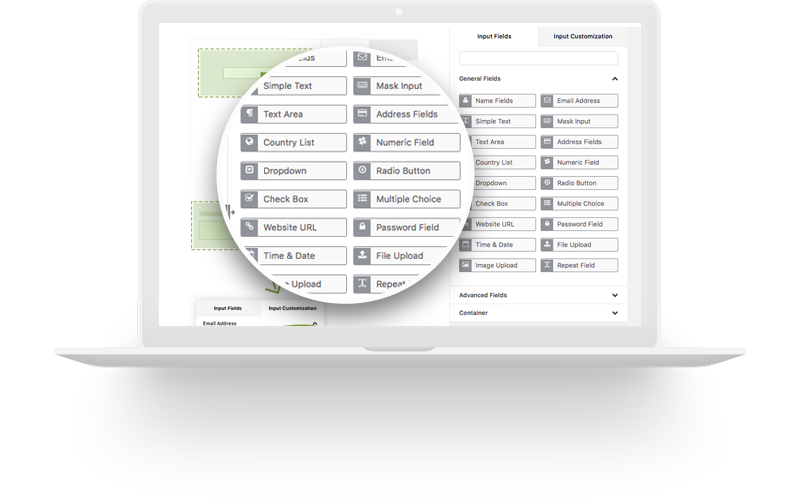 From Simple Name input fields to Customizable Text fields and Checkboxes, Repeat Fields or Custom HTML- everything is within your hand’s reach, waiting to be deployed! Don’t make your audience go through long scary forms when you have the options to arrange them in a smart way. Deploy your input fields in two or three columns whenever necessary, and give them a more compact and professional look. Don’t worry about your forms breaking up awkwardly in different devices with different screen ratios. Online forms created with WP Fluent Form are by default compatible for devices with all kinds of screen sizes, including- Smartphones, Tablet PCs, Desktops etc. Why irritate your users with unnecessary fields that they do not need? Use WP Fluent Form’s Conditional Logic feature to make your forms more efficient and user-friendly. Show and hide specific fields according to users’ behaviour so that they do not have to be bothered with unnecessary fields they do not need to fill up. You can show and hide entire sections or steps (in step forms) if you need using WP Fluent Form’s Conditional Logic. Whereas, in most of the Form Plugins available, this Conditional Logic is a Premium Feature. But in WP Fluent Form, you can enjoy this feature in our free version! So, why wait to smarten up? Taking in Files and Images from users and subscribers has never been easier. Just create a form with WP Fluent Form and integrate our File Submission Field or Image Submission Field just by Dragging and Dropping. All the submitted files be will automatically stored in your WordPress admin panel! You can view those files from WP Fluent Form’s “Entries” section. Not only that, we also enable you to save your server from running out of space due to heavy submission of files and images. While creating a form using WP Fluent Form, you can easily set the limit of files a user can upload and what the maximum size of an uploaded file/image might be. Download WP Fluent Form Pro to avail this feature! 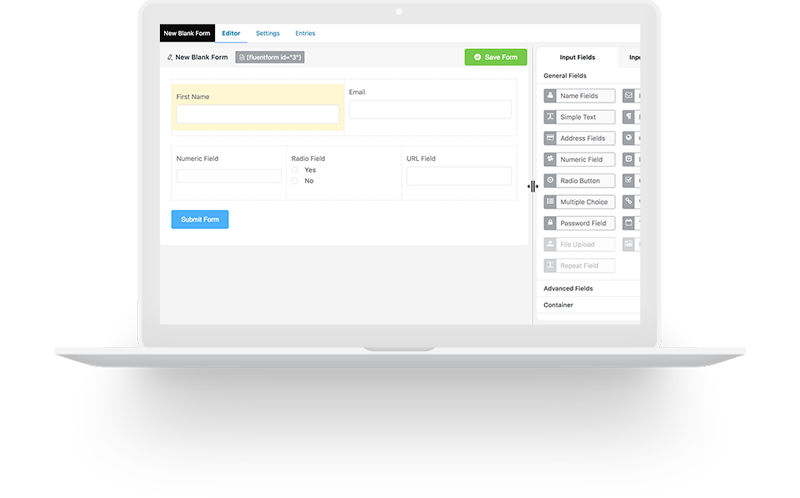 Need to roll out a form to your audience that is long and requires a gazillion input fields to be filled up? Usually, such forms are scary for users and people tend to avoid these forms. But not if you smarten up and handle these situations nicely. WIth the Step Form feature that WP Fluent Form offers, you can easily sort your input fields in a smart way. This feature enables you to fragment your input fields in separate “pages” that your users fill up one by one. Organizing your input fields in such pages will make your form compact, smarter; and help reduce exit rate. To be honest, you want your website to be user-friendly, and so do we. Don’t wait up. Download WP Fluent Form now and try out this amazing feature! It is safe to say that online forms were once way too much vulnerable to spamming. But not anymore! Along with spammers, the good guys have evolved over time and various anti-spamming tools are already in action as we browse the internet everyday. That’s why, WP Fluent Form comes with the state-of-the-art anti-spamming tool reCAPTCHA and promises to keep on upgrading and adding more anti-spamming tools as soon as they roll out. And not only bots, keep your forms safe from annoying real humans as well! Just use the “Empty Submission Blocking” feature, so that the blank submission forms can be thwarted even before they enter your entries list and bother you with unnecessary hassles. Now and then, often you might need to restrict the form submission only to a certain amount of users or for a certain amount of time. Suppose, you are taking in registration applications for a limited time exclusive webinar for just 100 people. In that case, you definitely need to make sure that no more than 100 people register for the program, and that too within a certain period of time. With WP Fluent Form’s Form Scheduling feature, you can set the time from when the form submission opens for your users, if your users need to be logged in to fill up the form, what welcome/countdown message needs to be shown prior to the form activation period, and what message to show once the activation date expires. Similarly, you can also limit the number of users that can fill up the form daily, weekly, monthly, or in total. And all of these can be set up in just a couple of minutes! Whenever someone fills up a form, you and your team can be notified real time, if you want to. Not only that, you can also send you new user a welcome/confirmation message and customize them! And setting up the process is real simple. From real life experience, we have observed that exhibiting a simple success message to your users is oftentimes not enough and can be considered a bad user experience. That is why you might need to send your users a follow-up email confirming them of their form submission. This email can be detailed and you can customize this emails very easily while setting up. Along with that, if you and your team members (say, admins of your website) needs to be notified every time someone submits a form, that can be arranged as well! And those notification emails can be detailed and exactly to the point as you need. With WP Fluent Form, communicating with your users have never been easier! FluentForm is the perfect solution for YOU. Here’s why smart business owners, designers, and developers love FluentForm, and you will too! Build Online Forms In Minutes, Not Hours Build and publish your WordPress forms in just minutes. No drudgery, just quick and easy form-building. Select your fields, options and easily embed forms on your WordPress powered sites using the built-in tools. The usage of a form builder should not take any level of mastery to any things. FluentForm is just that with enhanced, dynamic users range in mind, built to support you and your business just the way you want, effortlessly. FluentForm is designed after months of real life content research on hundreds of websites. That’s why we know what YOU want in a contact form builder and how. 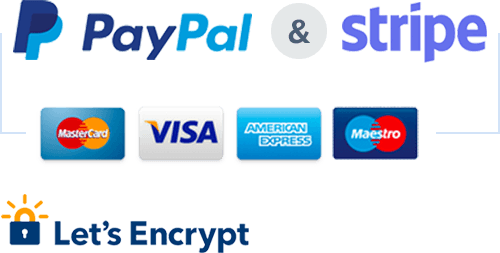 We have brought in all these features in one place for you. Don’t bother your users with long, boring forms, but receive whatever information you want to need! 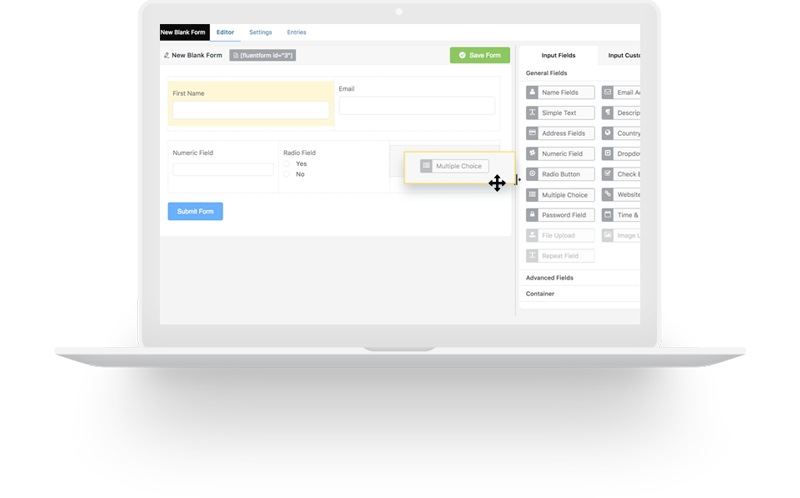 With our Step Form feature & Multi-column layout, make your forms easier and user-friendly for your visitors! Don’t be in two minds, have your queries answerd! Q. Do I need coding skill to use FluentForm? Q. Will FluentForm slow down my website? Absolutely not. We build FluentForm very carefully and maintained WP standards as well as we only load styles / scripts in the pages where you will use the FluentForm. Q. Can I use conditional logics when building a form? Q. Can I build multi-column forms? Q. Can I export the form submission data?